This October 31, more than 135 million Brazilians are eligible to go to the polls for the second time this month, to finalize the election of President Lula da Silva’s sucessor. In the first electoral round that was completed just four weeks ago, the voting technology that the southern giant has been using, captured the attention of locals and foreigners, to extol the main qualities of electronic voting: it is fast and reliable. 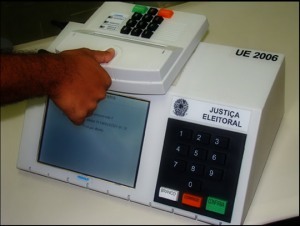 To illustrate the proper operation of the automated election, Brasilia’s Secretary of Information Technology and Regional Electoral Court Ricardo Negrao, said that on October 3rd a number of developments in the system came into play: the voting of some 200,000 Brazilians living abroad in the 550 electronic voting machines installed in 193 countries, and the use of the biometric voting machine. 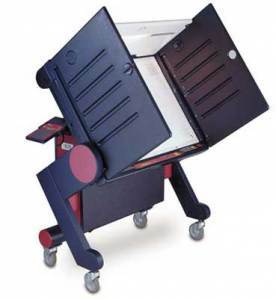 The new electronic voting machines, according to the Superior Electoral Tribunal (TSE), introduce the voter identification through fingerprints, because the machines have a biometric system installed, which was applied in 1% of the standard (1.3 million people) and had an ERA of fingerprint recognition in 93.5% of cases. The TSE explained that the problems encountered with the remaining 6.5% of voters did not respond to faults in the machines, but because of the lack of training of the people who operated the machine, or because of the imprecision of the voters’ fingerprints who work with chemicals or manual activities. On the speed of the process, the official figures, which could be detected in real time on the election day through the TSE website, show that the first national trends were available at 7pm that day, and 100% of the results were published at 10:30pm. Realizing near-perfect performance of the electoral automation, which is updated at the pace of technological advances, Brazil announced that it is ready for the deployment, once again, of more than 400 thousand voting machines that have been used since 1998 for the total of voters, but that had began to be used partially in 1996. These computers with numeric keypad, which are manufactured in the country under the supervision of the TSE, have a scaffold that provides for the automated transmission of results, digital signature and encryption of information. The illustration of the Brazilian electoral system discovers that the voting authorities will once again become viable that the right to vote will be exercised with full guarantees for its citizens, and that beyond the invaluable mission accomplished internally in the nation, Brazil is a model for other countries that are still embedded in the manual vote, that voting technology is available and possible for everyone. 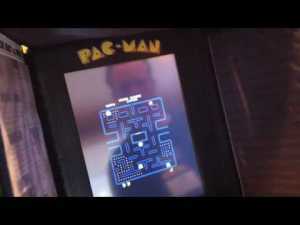 Last August ran the news that professors Alex Halderman of the University of Michigan and Ariel J. Feldman of Princeton University, succeeded in running a game of Pac-Man in a Sequoia voting machine. The experiment, done on a machine that was offered at auction and it was no longer used for counting votes, led them to display their “experiment” as proof of the insecurity that display some of the equipment used to automate the electoral process. The researchers said the security stamps of the machines were not violated to access the memory card. They first removed some bolts to access the inside of the machine, then removed the memory card and connected it to a computer. Then they modified the boot program and proceeded to install a version of Pac-Man in the machine. The publication of this information caused some concern on us. Because of this, we interviewed Eduardo Correia, Smartmatic’s Vicepresident of Electoral Solutions, who explained that this experiment was made with a machine of an american company made in 1995. Correia said that in a well designed automated voting system, the software cannot be altered. He also said, without the intention of neither discrediting the academics nor defending the the competition, that these experiments do not run in real situations. He explained that it is not the same to alter a machine’s software that no longer has the protection mechanisms, than to alter a machine the very day of an election, in a real environment. According to the electoral technology expert, the experiment made by the academics, does not imply that there is a possibility to alter the electoral results: “The systems though which the results travel are safer than the electronic transactions banking channels”. He added that for example in Venezuela, when the votes are counted and the results are transmitted, this information comes to the totalization room of the National Electoral Council, and stored in database systems. “All of this is made in an automated manner, with highly reliable security mechanisms”.